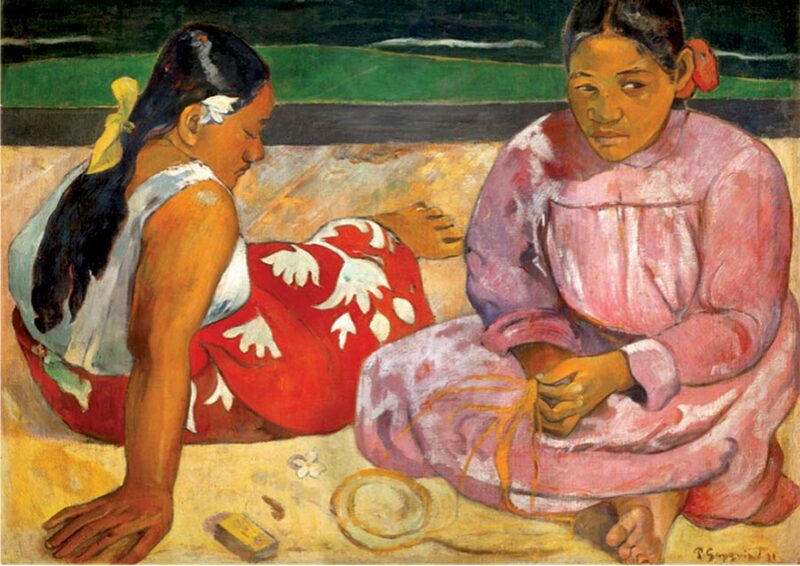 This painting, done in 1891, by Paul Gauguin, is beautiful in its simplicity. The subjects are two island women that each seem to be lost in their own thoughts as they sit in comfortable companionship. Fantastic display of color and the easy natural style of this painting are captivating, making it a delightful puzzle to complete. 1000 pieces 69 x 50 cms.